Our exhibitions allow you to walk into another world. 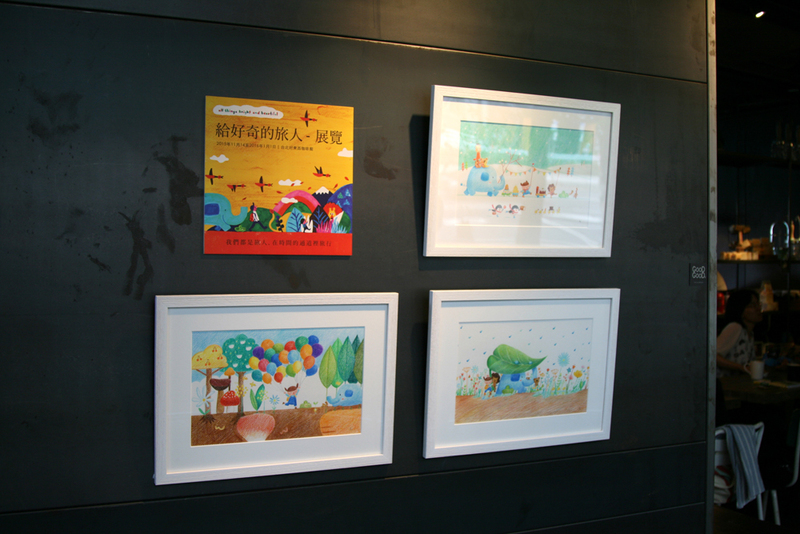 We hope that our art makes you happy. 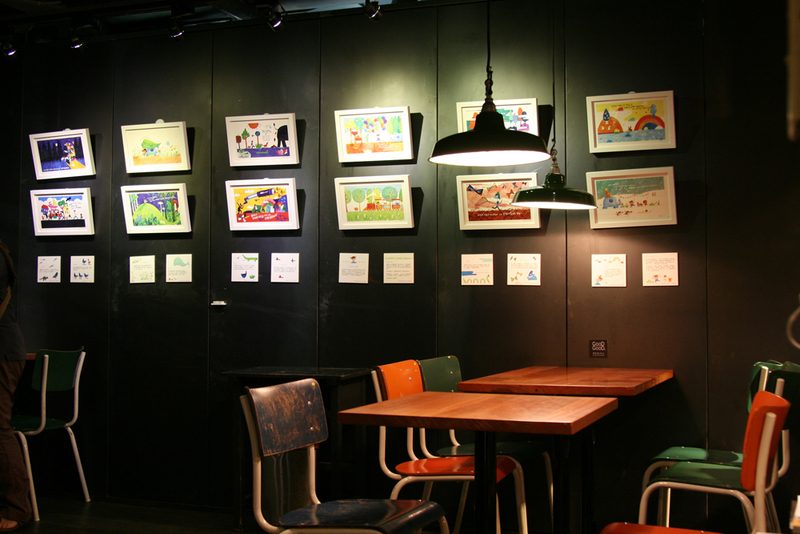 Here are a few of the exhibitions we’ve held. 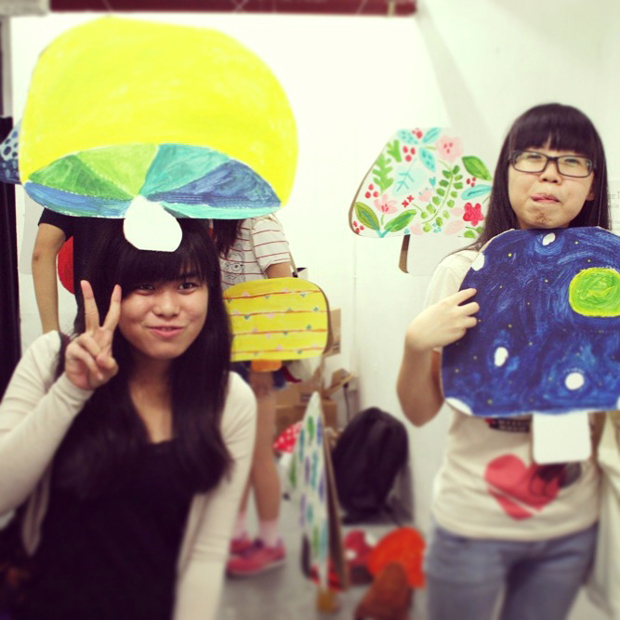 The idea for our exhibition was for the audience to walk into a storybook. We came up with a story about a boy called Tim who lives in a colorless world of gray. He embarks on an adventure to find colors. 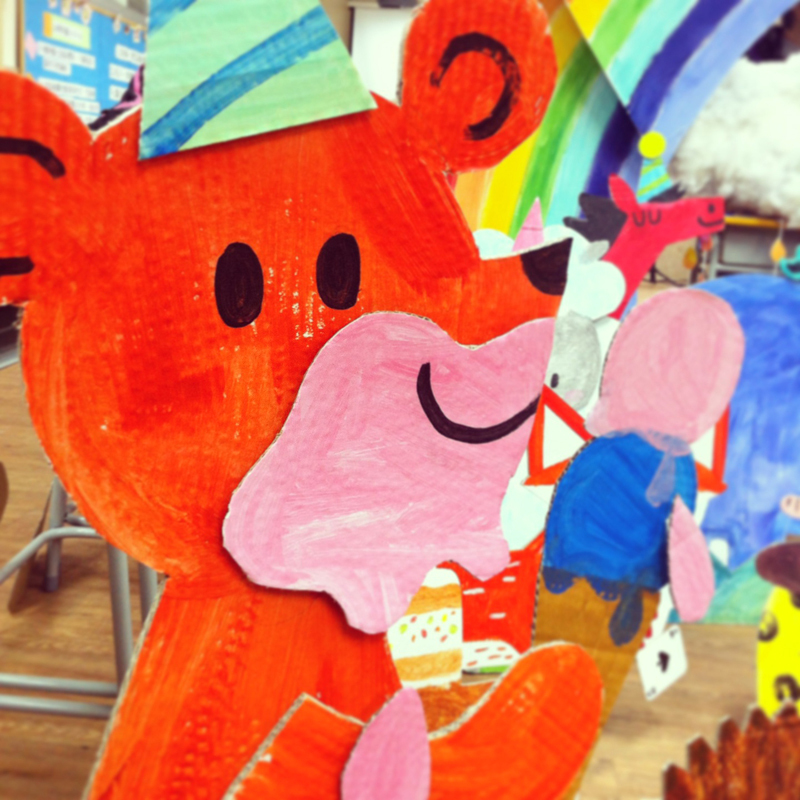 He travels through a field of story-telling mushrooms, Mini Land, and a forest of talking animals. After a storm, he finally finds a giant rainbow and brings some color back home. We exhibited the original drawings, sketches and final print outs of our Curious Traveller collection. We were one of the 8 brands (and the only local brand) showcasing their brand concept houses at Cityplaza. 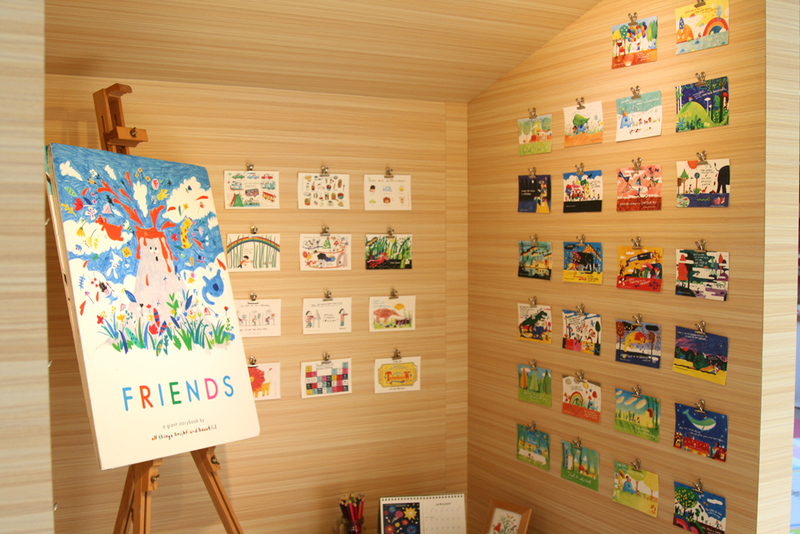 We displayed our masking tapes and products inside the house, and covered the walls with postcards.